I finally got these today (Jan 3). 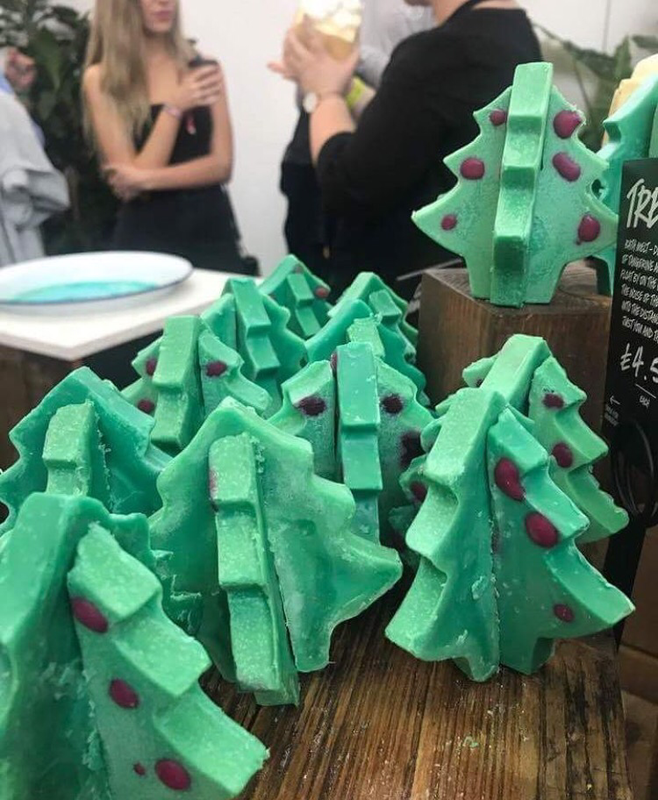 Lush has introduced ten bath melts/oils that can be hung as ornaments on a Christmas tree or can be used as tags on gifts, for Christmas 2018 as a limited edition product. Each has its own fragrance and each are made with different ingredients, all are made with cocoa butter and murumuru butter. 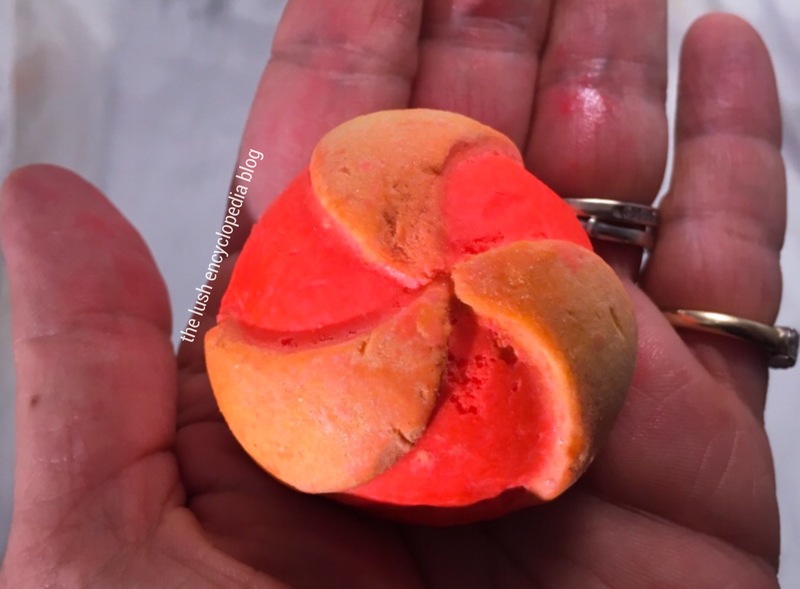 some have scents that Lush has used in other products but most of their scents are new. I’m going to use each of the nine different ones i bought and write a review, and record a short tub water demo video for each one, and i’ll add them to this page as i use them. I’m going to use the best smelling one (in my opinion) first. You simply place the bauble in an already filled tub and the hot water of the tub melts the bauble. Each one makes a different shade of water. Alternatively you can hold it under the water faucet of the tub. But many consider the ‘show’ that it puts on when it is placed in the already filled tub water part of the effect. 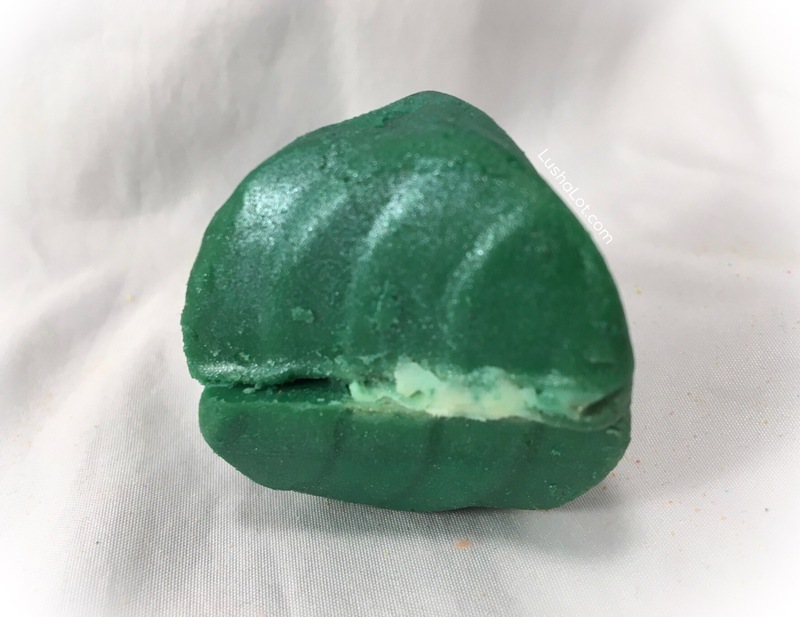 This particular bauble, Winter Night’ melt is my favorite scent of the 10 different bauble melts that Lush has created as an exclusive in the Uk for Christmas 2018.
i’m going to go take a bath with this one and will have pics and tub video in a couple of hours. Made with the Plum Rain scent. This is possibly my favorite Christmas 2018 product. 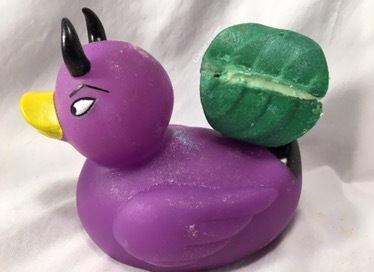 Looking strikingly similar to Lush long time favorite ‘Ceridwen’s Cauldron’s bath oil, wrapped in a piece of purple muslin, the bath oil itself is also a deep purple color. There are multiple little bits of goodies embedded in the top of Plum Pudding. It makes it look quite like a real plum pudding. That changes when it hits the water, and the irridescent showstopping purple glitter comes out. It has the wonderful fruity aroma of plums and, oranges. 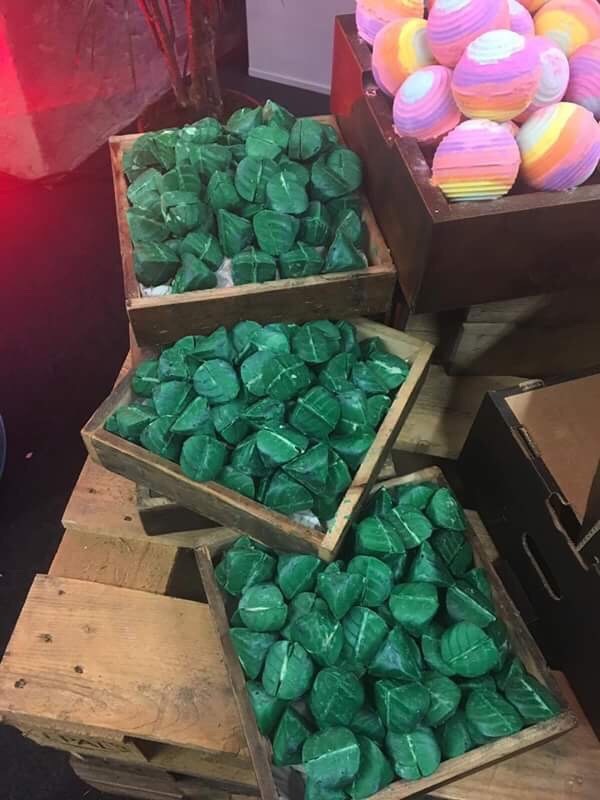 Im so glad that Lush decided to make a BIG bath oil, like the size they used to make. While the current lush bath oils are a perfect little gem sized piece, theres something to be said about having a big chunk of purple glittery goodness to rub all over oneself. This makes my skin feel good. And its gorgeous. I cant resist purple glitter. Im going to stock up and buy three to five of these beauties. When you get back from late night shopping and you’re plum out of energy, get in the bath with this skin softening melt. The proof is in the pudding and with ingredients to soften and soothe you’re in for more than just a sweet treat! Watch your winter woes melt away with whole oats and almond oil to hydrate and calm. The best puddings this Christmas are made with Fair Trade organic cocoa butter to moisturise and protect your skin. Lay back and relax with calming osmanthus absolute and petitgrain oil. It’ll be a date to remember. I am absolutely in love with this scent. Fruity but different. 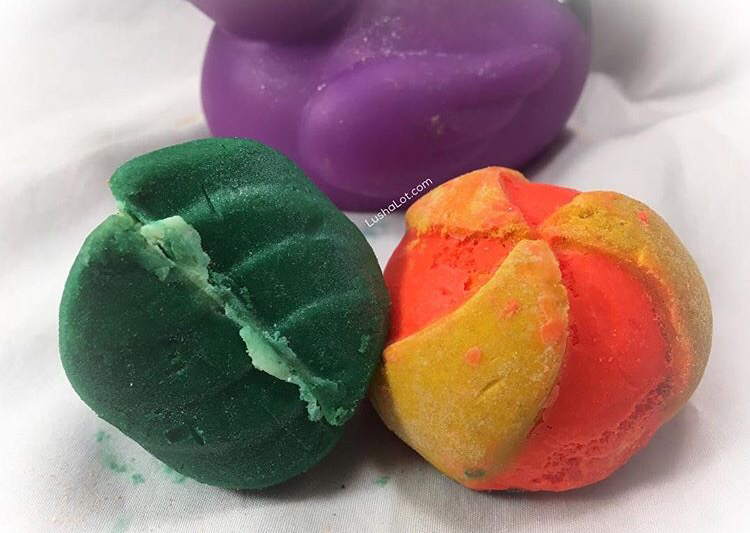 See my tub demo below! 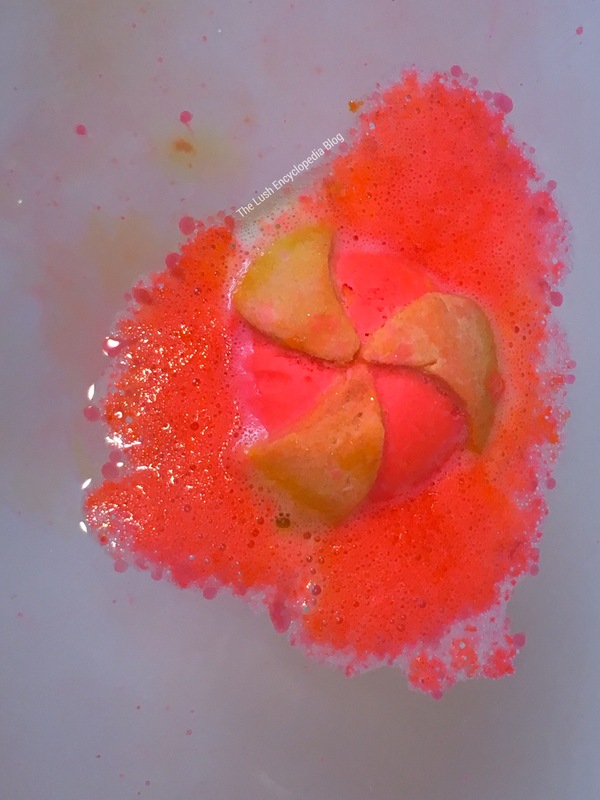 See my 2 minute demo and review video of my Lush Magnificent bath oil below. Feel propelled by uplifting grapefruit and tangerine, as you luxuriate in waters infused with a coalescence of intensely moisturising shea butter, jojoba oil and restorative litsea cubeba oil. You don’t need a bath to tell you how magnificent you are, but it helps. Tangerine, Grapefruit and Litsea cubeba.